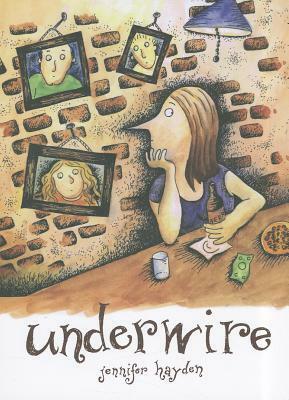 The Most Overlooked Graphic Novel Ever in the Land award goes to: Underwire by Jennifer Hayden! I bought this collection of vignettes on a lark from Comixology, and it's been sitting on my e-reader ever since. I happened to pick it up for #ComicsFebruary, #ReadMyOwnDamnBooks, AND Clean Your Reader. So many birds with one book...err, stone. Jennifer Hayden's autobiographical strips are full of good-hearted irreverence and illustrate the silliness in parenting, marriage, and everyday life. They're not too jaded, just a little left of center, where so many of us live. Don't go into this collection of strips expecting to be swept away by a continuous story, but if you love fun, hilarious anecdotes as much as I do, I still believe you'll be swept away. I happened to open this little beauty during the Worst Week Ever, and it was such a humorous brain break at the end of the day. It left me giggly and poking fun at my own life for a bit. But not overlooked by me!! I reviewed this a couple of years ago -- Isn't it great????? I can't find a print copy at work, so I'm going to download this to my Nook. It looks great! If a book can lighten your mood it's definitely worth reading. Thanks for the rec. Most certainly adding this one to my TBR! More women authors and more graphic novels are two of my book goals this year. Hah, I love the sample you shared! This looks funny! Thanks for bringing it to attention. 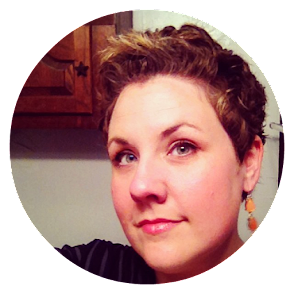 This is in my library at Scribd so I am glad to hear it is worth checking out! Hahahahahaha, that sample comic is so charming. 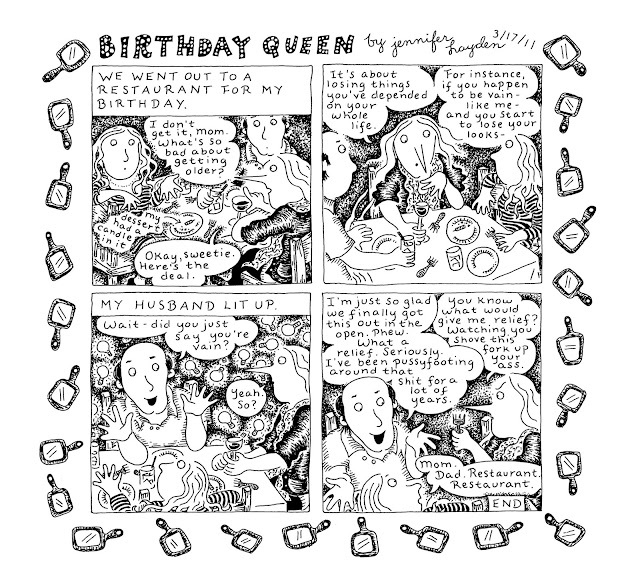 It reminds me a little of Roz Chast, which if that's what it's like throughout, could not be a better recommendation.